Before the dawn of ghd straighteners and 600 degree curlers, the most women ever had to do to protect their hair was use a decent conditioner and the odd sachet of hot oil. Now that straightening irons have become a hair staple however, it really is time to start tuning in to all the heat protection lectures you've been getting at the hairdressers and start taking hair care seriously. Of course with so many products on the market, knowing where to start can be tough and to help you on your quest for luscious, damage-free locks I've put together my Top 5 Tips for protecting your hair from the harms of heat. Use a heat-deflecting serum or spray. 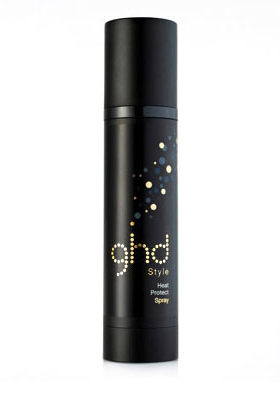 My favourite product at the moment is the ghd Heat Protect spray (available for £9.95 on amazon) as it is specially designed to safe-guard and strengthen your hair at the same time. This product will absorb and deflect heat taking the distresses out of your tresses and minimising the risk of split ends. Drink two litres of water a day. This tip is more often thought of as a remedy to skin problems but drinking plenty of water helps to keep your whole system hydrated, including your hair. Not drinking enough can leave your hair dry, brittle and vulnerable to heat damage which isn't exactly going to do wonders for your hair. 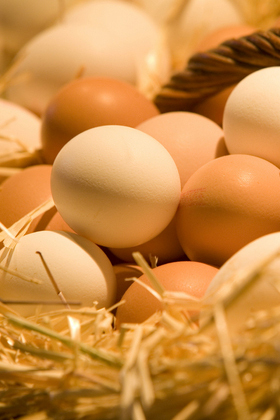 Eat a balanced diet rich in vitamin B3. Eating a healthy diet isn't just about staying trim. It's integral for your all round health and vitality, including that of your hair. Vitamin B3 is particularly good for promoting a glossy, split-free do and frankly we can't think of any better excuse for feasting on lots of eggs, potatoes and fresh meats. So go ahead, you have my permission: pig out! Nourish your hair from within. According to top dermatologists daily use of hot irons can damage the structure of hair in the long term so nourishing your hair from the inside is essential. 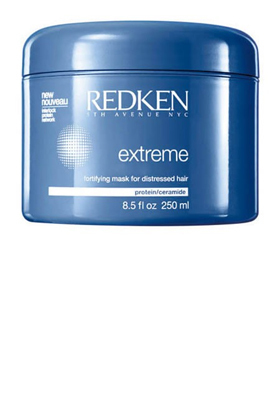 For best results opt for a deep conditioning treatment such as Redken Extreme mask (£15.53 from Feel Unique). It will replenish softness and elasticity and will intensely moisturise dry coarse hair. Manual dry your hair. It may be quicker to blow dry but the best way to protect your hair from heat is to cut down on the amount of heat you use. 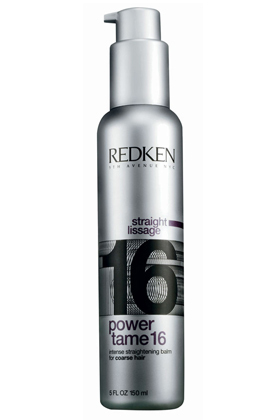 Try towel drying your hair and smoothing on a straightening product like Redken Straight Power Tame (£11.61 from Feel Unique). It will stop your hair from drying into a frizzy mess and will mean you if you have adjustable irons, such as cloud nines, you can set them to a lower level for the final finish. Follow these 5 tips and you will minimise damage when straightening or blow drying your hair. Do you have any other tips, or favourite products? I'd love to hear about them, so please leave a comment below. Today's best deal on a genuine ghd IV Styler is £89, a saving of £10 on RRP.